Lucerne, 27 November 2018 – As announced in May, Jörg Riboni will relinquish his role as Chief Financial Officer of the Emmi Group with effect from the 2019 General Meeting. Ricarda Demarmels is to be his successor. The Board of Directors and Group Management are delighted that Emmi has been able to attract someone with a sound management record, a great deal of financial expertise and with experience of working for listed companies. Ricarda Demarmels will be taking on her duties at Emmi in June 2019. Ricarda Demarmels is to be the new Chief Financial Officer (CFO) of the Emmi Group and, in this role, a member of Group Management. She will be replacing Jörg Riboni. Ms Demarmels, a Swiss national, who grew up in Andeer in the canton of Grisons, is a proven financial expert who is currently working at ORIOR Group as its Chief Financial Officer and member of the Management Board. She will be able to tackle her new tasks with sound financial knowhow gained over the past 16 years in a variety of positions, most recently with the stock-exchange-listed food group ORIOR, which she joined in 2015. 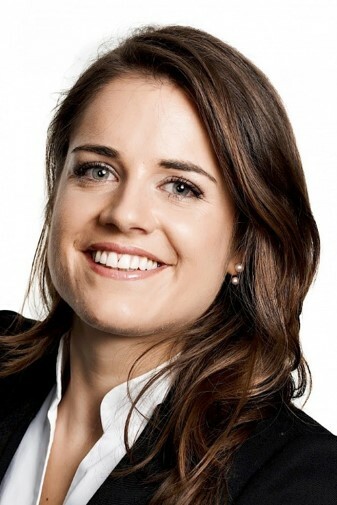 A particular bonus for Emmi will be the experience Ricarda Demarmelshas gained in strategic consultancy, M&A, integration, finance and the financial management of portfolio companies. She accumulated this over the years she worked with Oliver Wyman Financial Services (from 2005 to 2009) and in a dynamic international mergers and acquisitions environment at the Swiss holding company Capvis Equity Partners, where she worked from 2009 to 2014. Ricarda Demarmels has a Master’s degree in Finance & Accounting from the University of St. Gallen and speaks fluent German, English and Italian. Ricarda Demarmels will be taking up her new post in June 2019. Jörg Ribonihas been responsible for Emmi’s financial management as CFO since January 2013. He informed the Board of Directors in May this year that his longer-term aim was to focus on various mandates on boards of directors and specialist committees and therefore asked asking to be released from his duties with effect from the April 2019 General Meeting. An internal interim appointment will be made to ensure the orderly handover of his functions to his successor. The Board of Directors and Group Management wish to thank Jörg Riboni for his loyalty and the valuable contributions he has made over the past five years, which have been crucial to Emmi’s development and to its becoming a more international business. In 2017, Emmi posted net sales of CHF 3,364 million and a net profit of CHF 162 million. In the first half of 2018, it generated sales of CHF 1,675 million and an adjusted net profit of CHF 72.1 million. The company employs nearly 6,150 staff (full-time equivalents), of which around 2,950 in Switzerland.